We arrived in Split at 5:00 p.m. Tired after the long ride, we gathered our bags and set out to find our hotel. 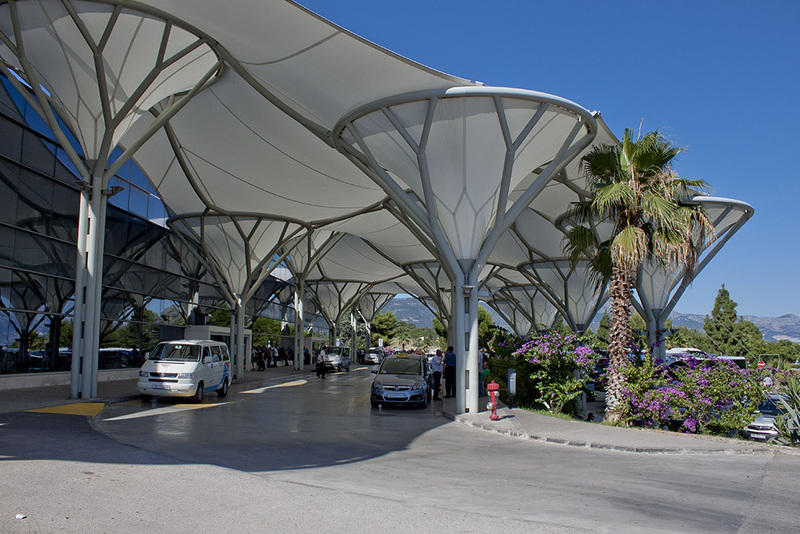 Split’s main bus station is in the center of the city near the harbor and shares this strip with the car ferry terminal and the rail station, so it can be a busy location. Not to mention the small, eager groups of people hawking sobes, or apartments, for rent. But we had already reserved a room in a small hotel which, we soon discovered, was a bit of a walk from the bus station. Map in one hand and his roller bag in the other, Dave led us from the station to the first intersection. Then we continued on, upward all the way, the hill growing steeper. Twice we flagged down locals to ask for directions, but both times the elderly women ignored us and went on their way. We didn’t take offense. After all, we were strangers who didn’t speak the language, so who knew what we wanted? When a young woman came toward us, we tried again. She said cheerfully, and in perfect English, that we were headed in the right direction. The small hotel, Villa Ana, was on our left and set back from the street, so we needed to be on the watch for a freestanding stone house. Five minutes later, we found the driveway-lane to our hotel, checked in, and spread out in our spacious upstairs room that had a small terrace overlooking the front drive. We unpacked, then went back to town in search of food and a stroll along the Riva, the harbor. The jaunt down the hill didn’t seem as long as the walk up, and soon we were on the waterfront’s promenade. The warm evening hummed with happy voices as couples and families weaved a path to or from the bars and restaurants that lined the Riva. We strolled from one end of the seaside promenade to the other, taking our time to decide where we wanted to eat. We passed under the modern white lampposts and sunscreens that stretch the length of the walkway and chose a restaurant away from the harbor, the only one with seating available on this busy evening. We ate a light meal, savored a glass of a local wine, and people watched until bedtime beckoned. 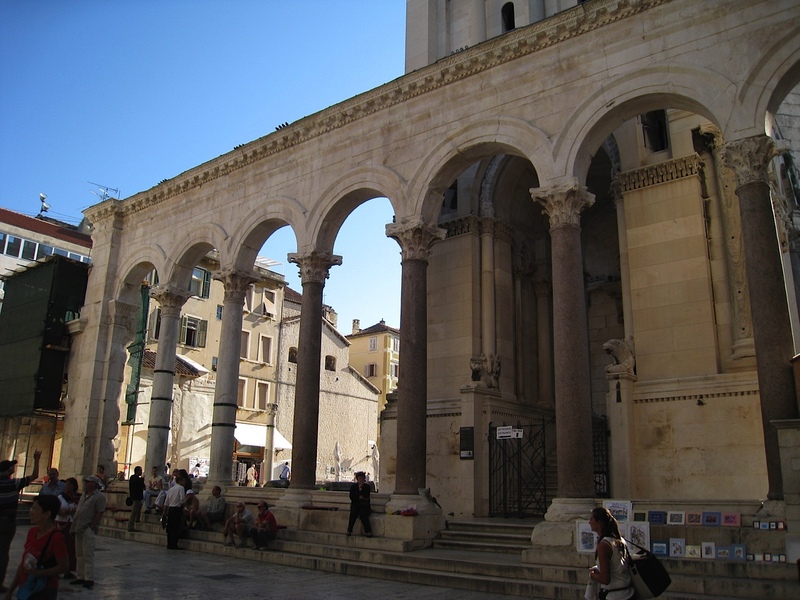 The next day, we headed into the old town for our self-guided tour of Diocletian’s Palace, the ruins of the Roman emperor’s retirement palace, which sits in the heart of the town near the harbor and is the nucleus of Split even today. 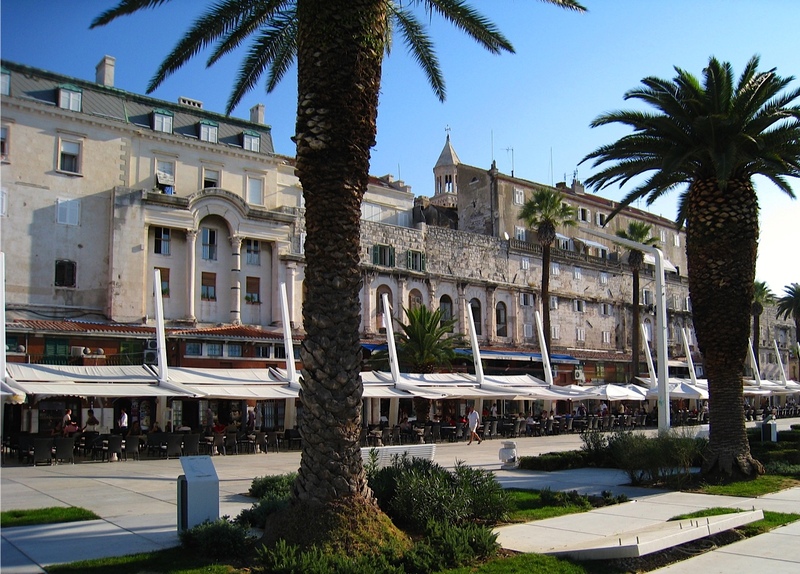 Diocletian grew up in Salona, a town inland from Split. At the time, Salona was the capital of the Roman province of Dalmatia. He worked his way up the Roman hierarchy until he became emperor and ruled for twenty years. However, he is best known for two legacies—one, dividing the empire into four splintered groups, which arguably caused the empire’s demise, and two, torturing and executing thousands of Christians. The massive palace, which dates to AD 295-305, was constructed of white limestone and marble from local quarries and divided into a luxury villa and a fortified town with two intersecting roads. The north-south street, cardo, links the Golden Gate, the main entrance to the palace, to the Brass Gate. The transverse road, decumanus, links the eastern gate, Silver Gate, to the western gate, Iron Gate. The northern half of the palace supposedly housed soldiers and servants and had other facilities. The southern half was the emperor’s apartments, both private and public, and religious buildings. The apartments formed a block along the seafront. 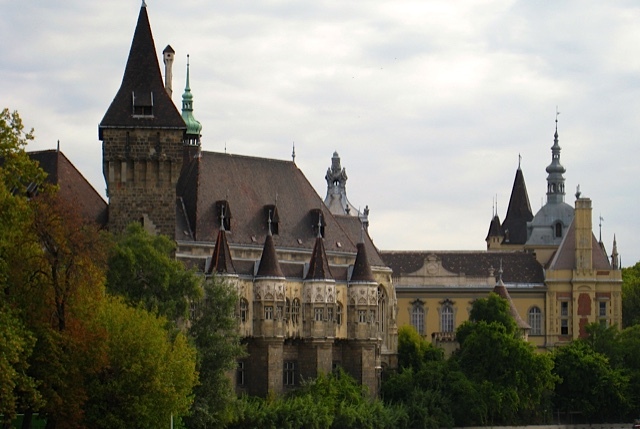 At one time, over nine thousand people lived inside the palace walls. 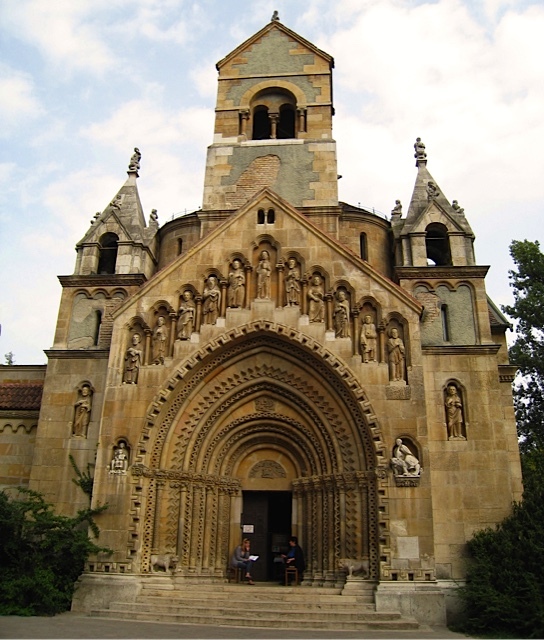 We entered through the Brass Gate, the most popular passageway for tourists, but also the most accessible entrance if you are coming from the Riva. This gate faces the harbor and is actually the back entrance to the palace. 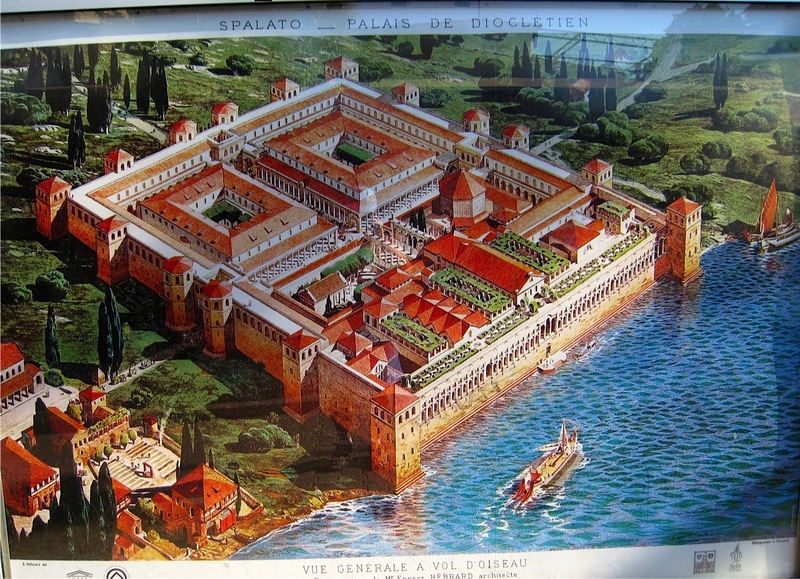 In Diocletian’s time, it probably served as both an escape route by boat and a port to drop off supplies, as the wall of the palace sat right on the water’s edge. In the seventeenth century, a new defense system in the form of bastions was constructed around the palace to refortify the outer walls. The appearance of the present-day waterfront promenade dates to the early nineteenth century, when the water was pushed back so the seaside frontage could be extended and graveled in. Then, a series of houses were erected against the newly fortified walls, the new buildings reflecting the architecture of that period. Most have been well preserved. From the Brass Gate, we descended to the labyrinths of cellars, now home to souvenir stands and art exhibits. We made a quick tour of the cellars, bypassed the shops for now, and mounted the stairs into Peristyle Square, the centerpiece of the palace, where we admired and photographed the red granite pillars brought from Egypt, where Diocletian spent many of his preretirement years. Leaving the square, we climbed the stairs to the Entry Vestibule, the impressive grand entry to Diocletian’s living quarters. The hole in the ceiling was once covered with a dome. The acoustics inside the structure are perfect, which we soon found out as an all-male group of klapa singers serenaded us a cappella. We lingered for two tunes, then left to visit the Cathedral of St. Dominus. 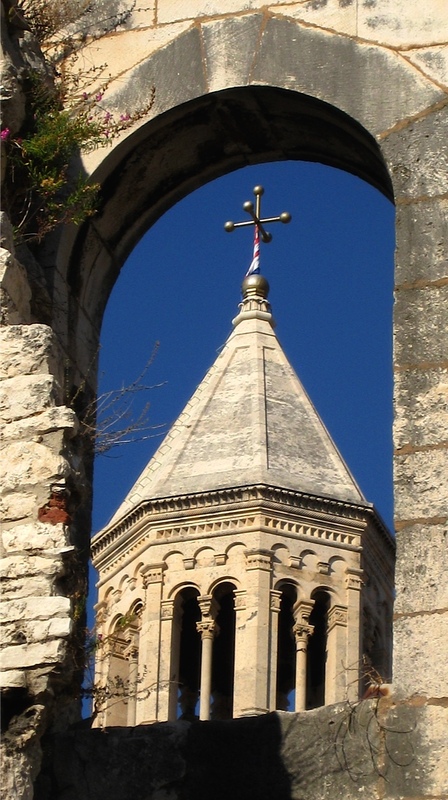 The current church was once Diocletian’s mausoleum. Before we moved on, we photographed the two-hundred-foot-tall bell tower that took three hundred years to complete. Our tour of the palace ended at the Golden Gate, the main entry to the grand palace. Just outside the gate we paused at the big statute of Bishop Gregory of Nin. People rub his toe for good luck, but only non-materialistic wishes will be granted, or so I was informed. The toe is now gold from constant rubbing. After our palace tour, we took a coffee break on the Riva, in the shade of a large palm tree, and mapped out our plans for the afternoon. 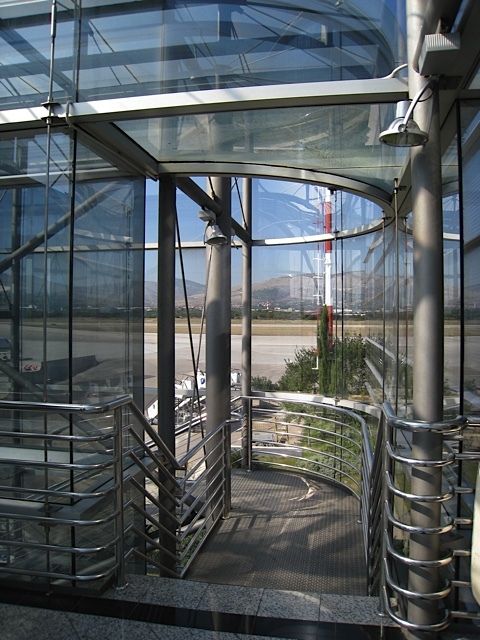 For orientation purposes, a large-scale steel cityscape of Split stands at the end of the promenade. Our first stop was the Green Market, a bustling, open-air market where you can buy fresh produce of all kinds, as well as household items, flowers, and even jewelry and clothing. 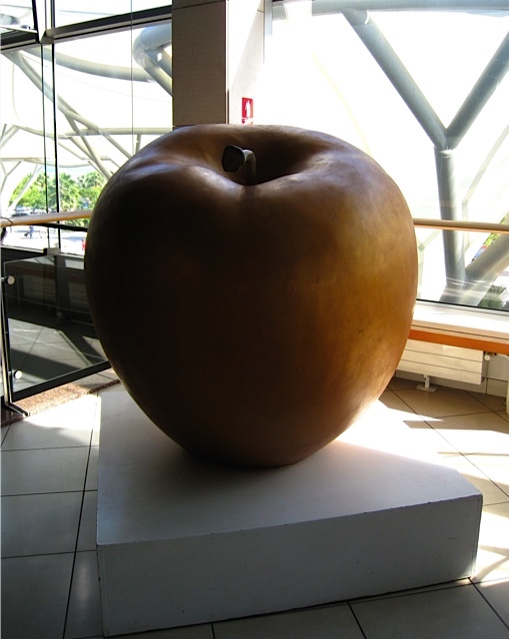 We bought some fruit for lunch and proceeded to People’s Square, Pjaca to the locals. 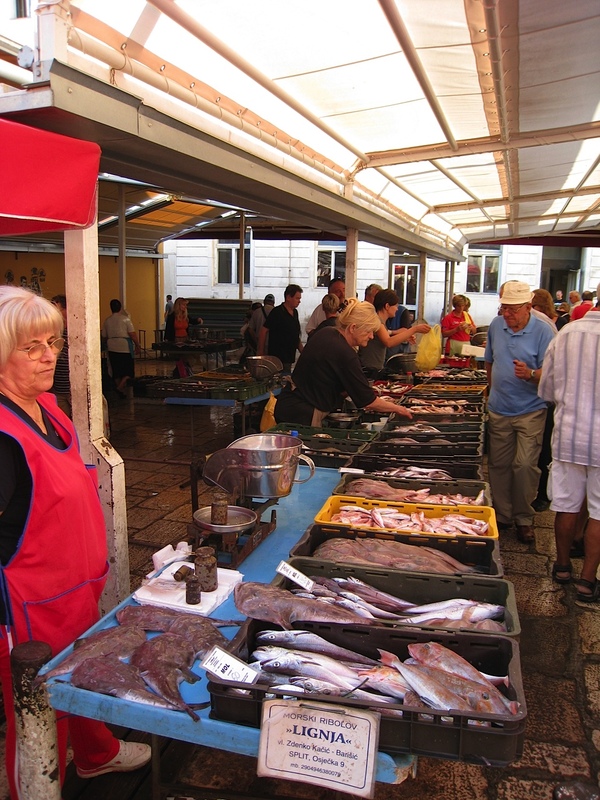 From there, we walked along Marmontova, the main shopping area, until we came to Ribarnica, the fish market, where we were surprised by the large selection of freshly caught seafood. No, no flies—that’s because the smell permeating the local air is sulfur. During Roman times sulfur baths were popular for their curative powers. 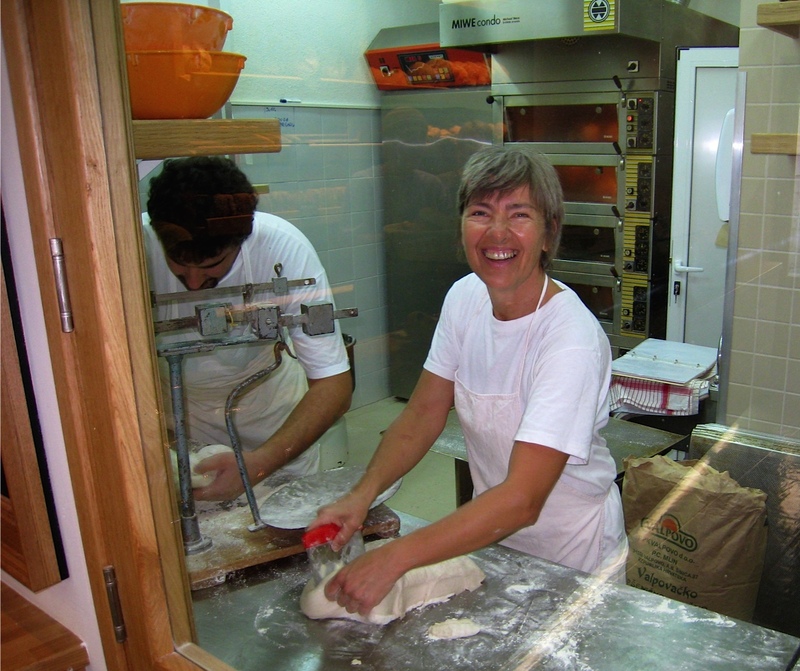 We peeked into a butcher shop but stayed much longer at a local bakery, where we bought dessert for that evening. If our stay in Split had been longer, I would definitely have opted to cook in than eat out. With the extensive selection and abundance of fresh food, the city was a cook’s dream. The rest of the day we meandered through Split’s maze of narrow, crooked backstreets, shopping for a few souvenirs and taking in the sights. 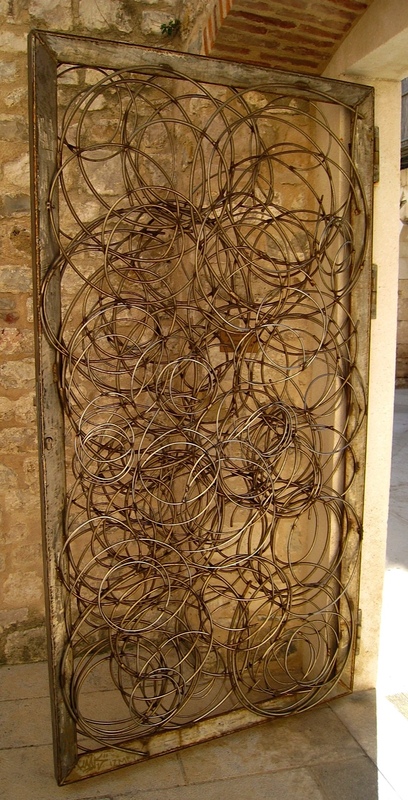 On our walk back to the harbor, we wandered through the Ethnographic Museum, where I couldn’t resist pausing to photograph the “wire door”—where modern meets medieval. With only fruit for lunch, our thoughts turned to an early dinner. We found exactly what we wanted at a restaurant near the Riva—a platter of grilled seafood and a bottle of Graševina from the Kutjevo wine region to accompany our meal. Sole-weary, we hiked the grade to our hotel and called it an early night. The next day we would catch a flight from Split to Budapest, Hungary. 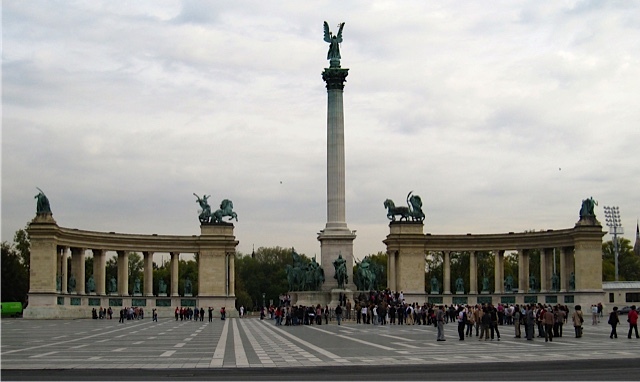 This entry was posted in Travel and tagged Author Pat Krapf, Diocletian's palace, palace, Pat Krapf Author, Texas Author Pat Krapf, traveling on March 5, 2015 by Pat Krapf. Early the next morning, I cranked in the pulley clothesline to retrieve our clean laundry, which had spent the night drying on the line that stretched from our apartment window to a stone wall on the opposite side of the alleyway. The fresh scent of lemon soap wafted toward me as I reeled in the garments, still flapping gently in a soft, morning breeze. Years ago, I had learned to pack hand-washable, quick-dry clothing, and such items certainly came in handy on long trips. We packed, then went in search of a photo shop to print out our bus tickets, which were saved on our iPad, for the trip from Dubrovnik to Split. While we had made our travel plans, I asked Dave, “What about flying?” At the time, no flights existed between the two cities, which are approximately 150 miles apart. Train, perhaps? There was no train. Ferry? Great way to see the stunning Croatian islands if you have ten hours or more to spare. Car? This made no sense, as we planned to only travel one way, so it wasn’t worth the effort or expense to rent a vehicle. This left us with one alternative, and the most popular means of transportation for tourists and locals alike—the bus. After a few challenging moments at the photo shop, when the owner couldn’t figure out how to print our tickets, he called in his young son, who was working in the back of the store. I turned to Dave and smiled. He, too, had a smile on his face, as did the owner. In five minutes flat, the son printed our tickets and left without saying a word. En route back to our apartment, we detoured for breakfast. While waiting for our order to arrive, I immersed myself in one of our guidebooks. I skipped from reading about sights in Split to a blurb about the large fountain, which we had just passed on our way out of the Pile Gate. 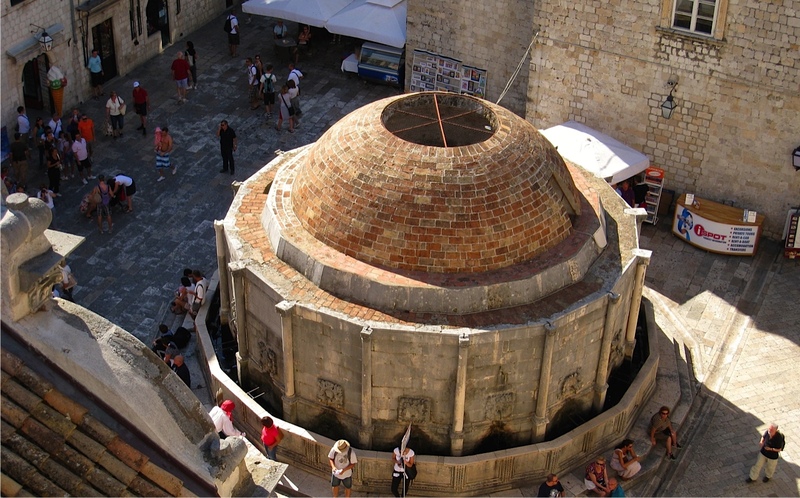 This giant, round structure is Big Onofrio’s Fountain. 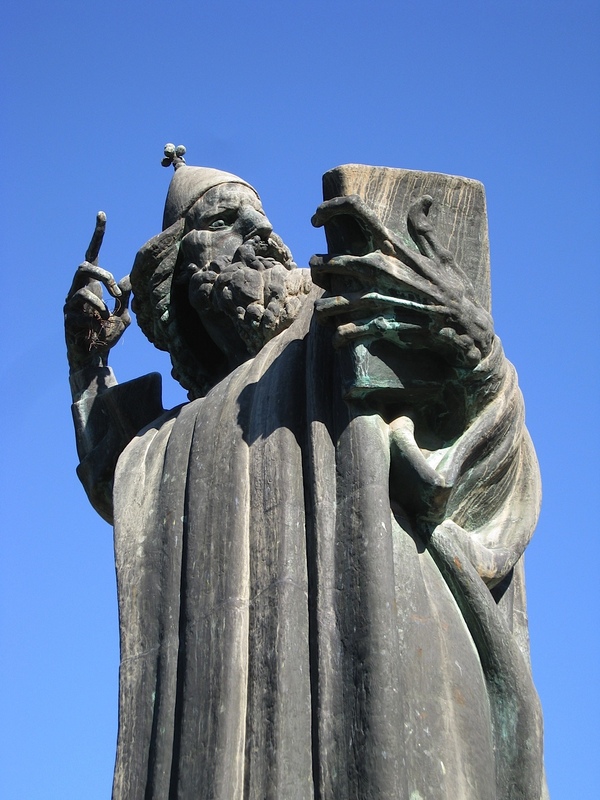 In the Middle Ages, Dubrovnik had a complicated aqueduct system that brought water from the mountains seven miles away to the city. The water ended up at the town’s biggest fountain before continuing through the town. 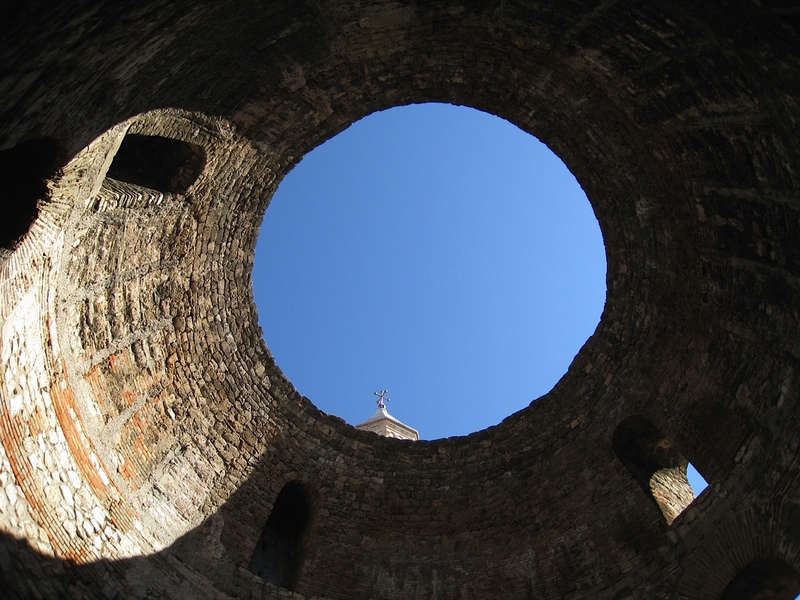 This abundant supply of water and large salt reserves from the town of Ston, as well as the massive Rupe Granary, made independent Dubrovnik very siege resistant. The precious salt pans contributed to Dubrovnik’s wealth, and are still being worked today. Taking this minor issue in stride, we boarded the bus, dug out our cameras, and settled in for the ride—and a long one it would be, for a number of reasons. 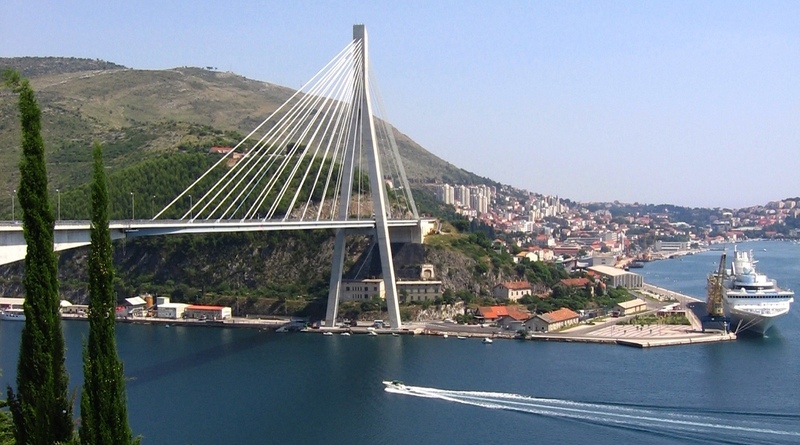 But the minute I spotted the Franjo Tuđman Bridge, a cable-stayed bridge at the western approach to Dubrovnik, near the Port of Gruž, I was so absorbed in the scenery I forgot about the drive ahead . . . for the time being. Unfortunately, on a bus trip you can’t stop whenever you’d like for a photo op, the first being the bridge. And, shooting through glass can certainly diminish the quality of your pictures. We tried to open them, but the windows wouldn’t budge. The next photography opportunity came as we closed in on the outskirts of Ston, a small city on the peninsula of Pelješac. The town has the longest stone wall in Europe, second in the world to the Great Wall of China. The stone wall has forty towers and five fortresses, and stretches from one end of the peninsula to the other. It protected salt production from potential thieves and protected the town from potential attackers. If I had known about its existence before planning the trip, it would have been a must-see for me. 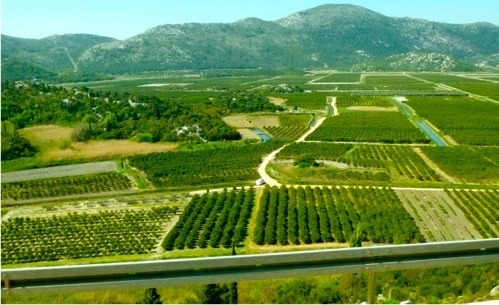 Besides salt production, Pelješac is also famous for wine production. Californians, and most Americans, are probably familiar with the name Grgich Hills Estates, a winery in the Napa Valley region of California. Born in Desne, Croatia, Mike Grgich emigrated to the US in 1958. In 1976 he won the Judgment of Paris wine tasting with his chardonnay. At the time, he was the winemaker for Chateau Montelena. 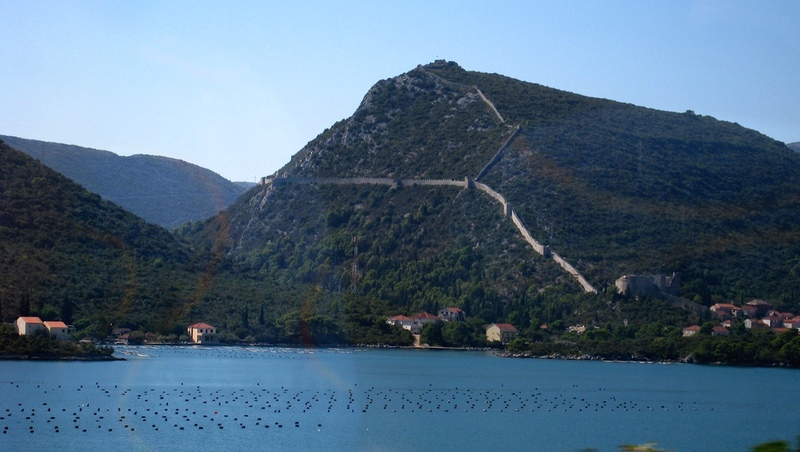 Ston is also known for oyster farming. The shells farmed along this coast are of the highest quality in the world due to the exceptionally clear seawater and the ideal weather conditions. We were a bit skeptical about this unexpected stop, but what else could we do except ride along and hope to reach Split before the end of the day? As we veered inland, the scenery changed from lush green with coastal views to a rocky terrain of what appeared to be limestone. An hour inland, we pulled alongside a store similar to a 7-Eleven. Next to the mini-mart was the bus station. During the thirty-minute stop, we bought snacks and visited the bathroom. Then we collected four passengers. 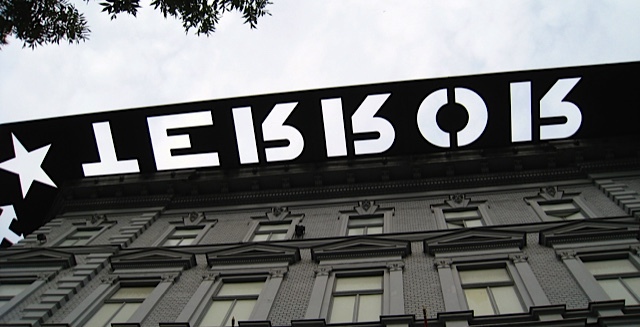 I saw no street or town signs, so I have no idea where we were in Bosnia and Herzegovina. Back on the road, our driver motored along a series of small back streets for about forty minutes until he sped onto the A-1. With nothing much to see scenery-wise, we napped. When we woke, the bus was climbing along a rather steep rise. Below stretched a verdant valley with water ditches channeled into the rich, dark earth. As an avid gardener, I was drawn by the fertile farmland. I snapped a few pictures and checked the time. We had been riding for five and a half hours. Surely, Split had to be nearby. Thirty minutes later, I spotted something bright yellow looming in the distance. I’ve never been so happy to see a tollbooth in my entire life. 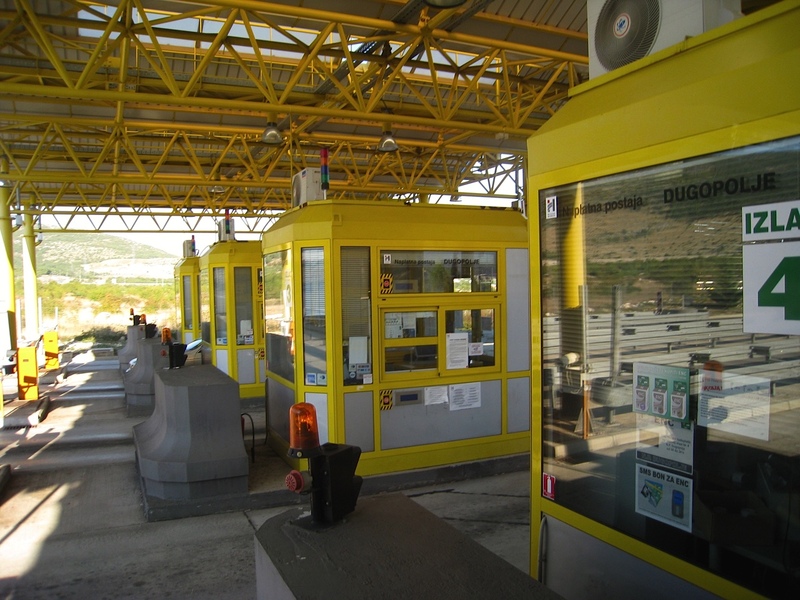 We passed through the yellow tollway, and soon the rocky terrain around us gave way to the vibrant blue of the Adriatic coastline. We had arrived in the seaport of Split. 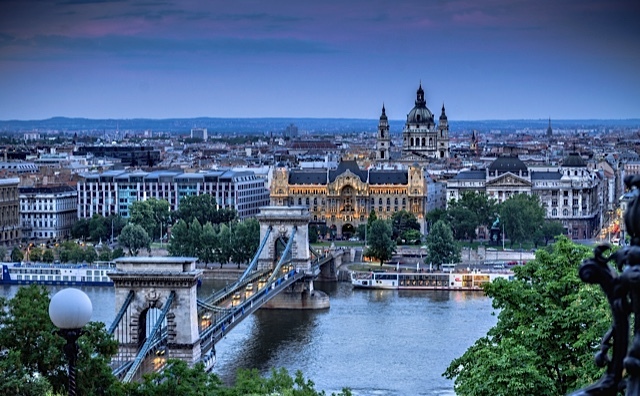 This entry was posted in Travel and tagged Author Pat Krapf, Croatia, Darcy McClain, novel, Split, Texas Author Pat Krapf, thriller, traveling on February 26, 2015 by Pat Krapf.